5 May 2016, Conakry, Republic of Guinea - The Principal Secretary of the Ministry of Environment and Forestry of the Republic of Guinea, Dr. Souleymane Camara, chaired the launch of the NAP process in the Republic of Guinea on 3 May, remarking how “the NAP is a national process that can facilitate the access to the financial flows necessary to adapt to climate change, especially for the most vulnerable countries". In the opening speech Mr. Mamadou Cire, UNDP Guinea representative, expressed his gratitude to the government for the strong partnership during the preparation of National Communications on Climate Change, National Adaptation Programme of Action (NAPA) and the programs for control of desertification and biodiversity conservation. He pointed out how 2015 was "a year of records", especially in terms of Green House Gases (GHG) concentration, raising temperature, climate extremes with million victims, and material loss and damage. Mr. Youla, National Expert on climate change at UNDP Guinea, pointed out to the climate change vulnerabilities of the country. In particular, with an increase of projected temperature of 5°C by 2100 in Upper and Middle Guinea and 4°C in the Forestry Guinea and Lower Guinea, the flow of Niger river is expected to be reduced by 30%, with consequential 10% loss of yield and 17% loss of arable land. In June 2015, a storm with a wind speed of 115 km/h hit Guinea, and 2015 was the 2nd most raining year since 1912. He informed that initiatives to build communities’ resilience to climate change are underway, but they need to be further strengthened. This launching ceremony was followed by a three-day training workshop, organized and facilitated by UNITAR with support from the NAP-GSP. The training brought together mid- to senior level experts from different ministries engaged in the national adaptation planning process, coming from the environment, agriculture, finance and budget sectors, as well as representatives from research institutions, NGOs, civil society and parliamentarians. 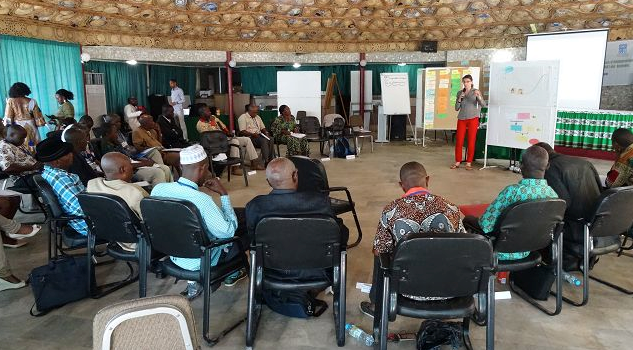 The overall objective of the training is to assist the Government of the Republic of Guinea to integrate the risks and opportunities associated with climate change into national and sectoral planning processes in the medium and long term. 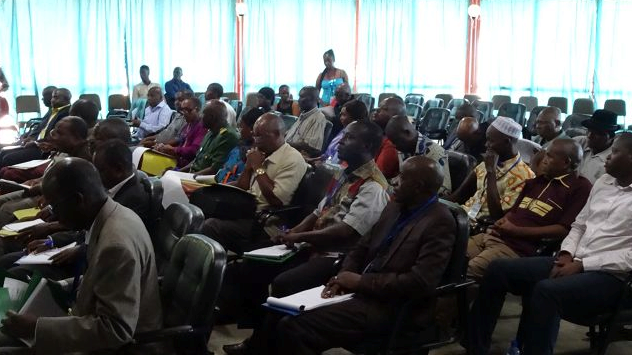 Develop a draft roadmap for the NAP development process in Guinea. UNITAR trainers used the Harvard Case Method to promote more effective learning and retention of ideas. The training also stimulated engagement across concerned sectors and departments of government, providing opportunities for high-level discussion, sharing of knowledge and team building.